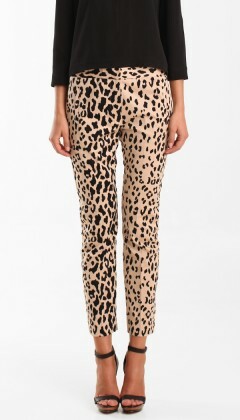 One trend I’m happy to see maintain its staying power is the printed pant. Finally, the pant gets to be the statement! Last season, I purchased a pair of the ever popular Current/Elliot Leopard print jeans and to say I’ve gotten a lot of use out of them would be an understatement. 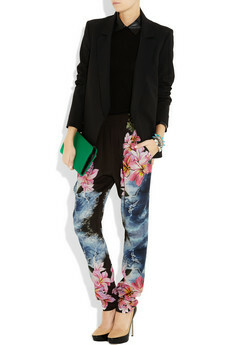 Mixing my love of prints and color, these spring pants are perfect for work or weekends. One trend I can’t support is wide-legged printed pants. It’s too much for me. If my bottoms are screaming, I want them to still have some semblance of sleek lines– not pajama bottoms.